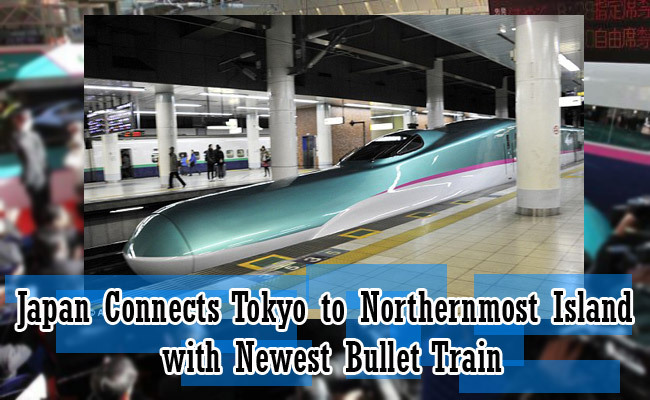 As one of the pioneers of technology in the world, Japan created a new Hokkaido Shinkansen or a bullet train that can connect Island of Honshu to their northernmost island for a faster travel. It took off last March 26 at the Shin-Hakodate-Hokuto station. This new transportation can last for 4 hours which is lessen by nearly an hour on an original travel from Tokyo to Hakodate. The construction of bullet train started 43 years ago and it has a goal to take passengers to their nation’s capital through the under-sea tunnel, Seikan which is known as the world’s deepest operational mainline rail tunnel that has more than 53 kilometers long and 240 meters deep below sea level. and along with Channel tunnel, which is one of the world’s longest under-sea tunnel. It’s first trip was for reservation only and it sold out last month for 25 seconds only due to the excitement of Japanese residents. There were more than 500 people who came early in the morning last March 26 to see the newest bullet train leave the Hokuto Station according to Japanese Media. One passenger who was interviewed by a local Japanese broadcaster revealed that he can’t even sleep well due to his excitement to ride the new bullet train. He even woke up at 1 am to toss around his bed and it cause to woke up his kids. Before the start of Shinkansen’s travel, a spokesperson for Japanese government announced in a news conference last March 25 that it is not only a happy moment but also it will be a hope to attract more tourists and revealed that there will be a total of 32 trains to travel from Hokuto Station and it was a project made by the government to boosts their country’s regional economy in Northern Japan.